Bee beetle (Trichodes apiarius) on a flower. 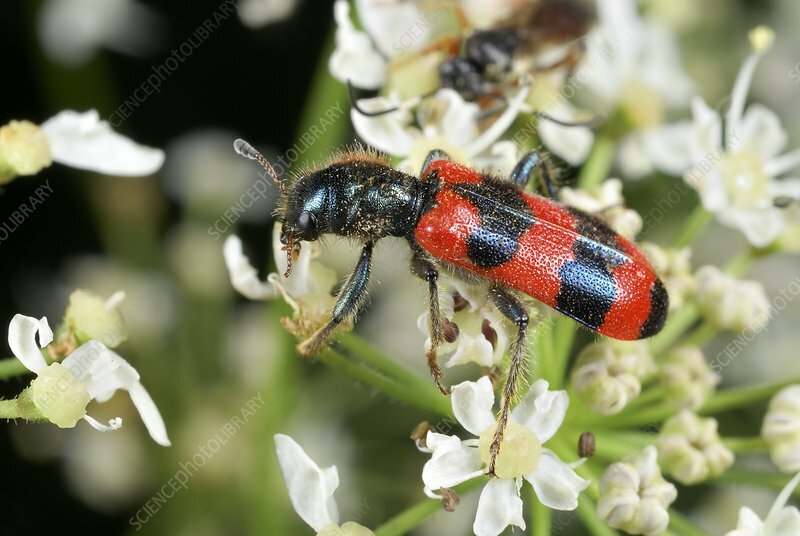 These beetles are found in most of Europe, the East Palearctic ecozone and North Africa. Photographed in Poland.